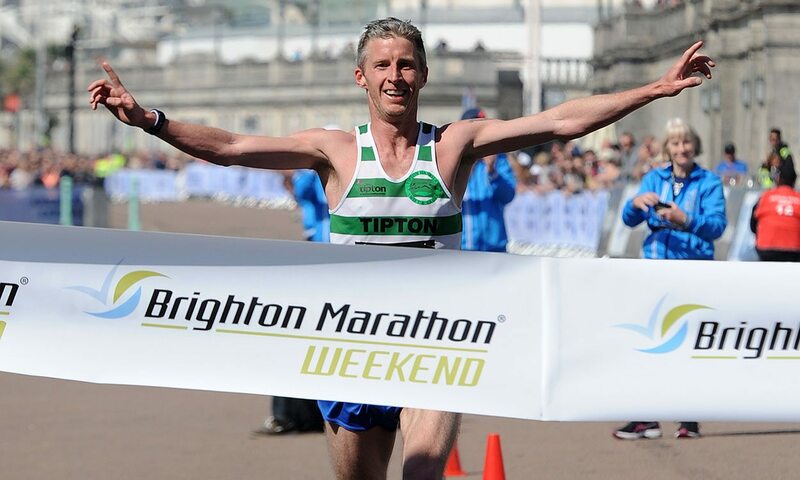 Stuart Hawkes won a dramatic Brighton Marathon in beautifully sunny, but not too hot, weather and in front of an enthusiastic crowd of supporters who lined the seafront. Race favourite Jon Pepper looked to be heading for a comfortable victory as he led through halfway in 72:05 and he was still a minute clear at 30km in 1:43:17. However, Pepper slowed and went through 20 miles in 1:51:00 as Hawkes started closing the gap and went through 22 miles in 2:02:47. As the pace slowed into the headwind, Hawkes broke clear and he won by almost four minutes in 2:27:36. It was his first marathon win and he is hopeful of running the Chester Marathon in the autumn. He had finished second in the Brighton Half Marathon. Ollie Garrod, who had been well back at halfway, finished very strongly and was delighted with his PB 2:31:32. An exhausted Pepper did well to raise a sprint in the last 50 metres to hold on to third in 2:31:56. The women’s marathon saw a clear win for Helen Davies. 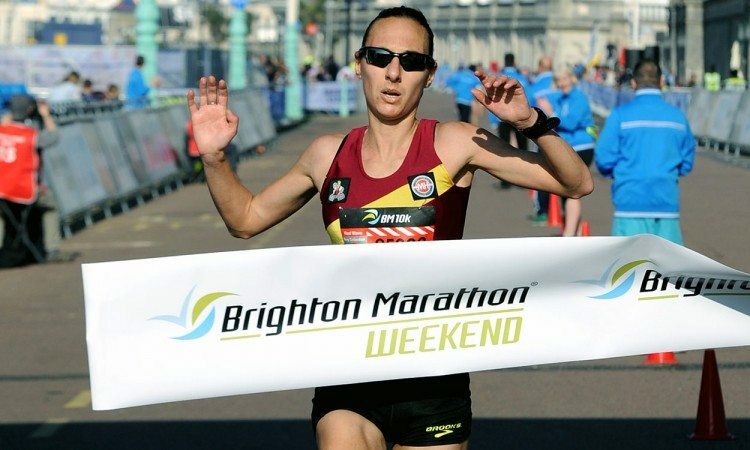 The Ipswich Jaffa athlete, who has a 2:34 PB, was running her first marathon since 2012 after the birth of her two children and she was the obvious class of the field. She won in a time of 2:42:40 and, like the men’s winner, was highly impressed with the race organisation, the course and the crowds. Hayley Munn was second in 2:46:00, while Helen Buller was third in 2:51:22. Around 10,000 participants took part in the race. Earlier on the 10km race, starting at the unusual hour of 8.30am, there was an excellent run from Katrina Wootton. In just her second race of 2017, she blasted out a fast pace, passing halfway in 16 minutes. She slowed a little in the second half, where she felt the wind affected her, but still ran a notable 32:46 to win by over a minute. Lily Partridge, in her first race since her Seville Marathon debut, was second in 33:55, with Phoebe Law third in her debut 10km in 34:00. Matt Sharp, who is making his marathon debut in London, was a clear men’s winner in 30:16. Finn McNally in 30:35 and Paul Whittaker in 30:46 completed the podium.